Draft: 2010, Florida Marlins, 1st rd. Graduated from Westlake (CA) High School ... Younger brother, Collin, was a catcher in the minor leagues with Atlanta (2015-2016) and Miami (2017) ... Youngest brother, Cameron, served in the U.S. Marine Corps ... His maternal great grandfather, Fred Gehrke, a former NFL running back, is credited with designing the iconic Los Angeles Rams horn logo on the team's helmet.....Gehrke is also credited with developing the first full facemask used on a football helmet ... Helped raise money this past offseason for victims of the California wild fires and bar shooting in Thousand Oaks in November.....co-founded "California Strong," raising over $1.5 million ... Enjoys going to the beach ... Follow him on Twitter (@ChristianYelich). Was acquired by Milwaukee from Miami on 1/25 in exchange for four players ... Was named National League Most Valuable Player as he batted .326 with 36 HR, 110 RBI and 22 stolen bases in 147 games.....made 144 starts (67g in RF, 64g in LF, 13g in CF) ... Became the fourth player (5x) in franchise history to be named MVP, joining Rollie Fingers (1981), Robin Yount (1982 and 1989) and Ryan Braun (2011) ... Became the first batting champion in franchise history (.326) ... Batted .367 (109-for-297, 25hr, 75rbi) over his last 74 games of the season ... Earned his second career Silver Slugger Award ... Won his first career Hank Aaron Award.....joined Prince Fielder (2007) as the second player in franchise history to win the award ... Was a finalist for a Gold Glove Award in left field along with the Pirates' Corey Dickerson (winner) and Braves' Adam Duvall ... Was named Brewers Most Valuable Player and Top Newcomer as voted on by members of the Milwaukee Chapter of the Baseball Writers Association of America ... Was an All-Star for the first time.....joined Prince Fielder (2011) as the only Brewers to homer in an All-Star Game (solo shot off Charlie Morton) ... Was named National League Player of the Week three times: 7/23-7/29 (7g, .517, 3hr, 10rbi), 8/27-9/2 (6g, .444, 4hr, 14rbi) and 9/17-9/23 (6g, .545, 2hr, 7rbi) ... Was named National League Player of the Month for September (26g, .352, 10hr, 33rbi) ... Was named Brewers Player of the Month for May (27g, .330, 5hr, 17rbi), July (26g, .400, 4hr, 23rbi), August (26g, .307, 11hr, 19hr) and September/October (27g, .370, 10hr, 34rbi) ... Led the National League in batting average (.326), slugging percentage (.598), OPS (1.000) and total bases (343) and was among the top five in runs (2nd, 118), hits (2nd, 187), RBI (T2nd, 110), on-base percentage (3rd, .402), HR (T3rd, 36) and extra-base hits (5th, 77) ... Became the third 30/20 player in franchise history, joining Ryan Braun (2009, 2011-12) and Tommy Harper (1970) ... Became the fifth player in Major League history to have two cycles in the same season and the first to do it against the same team (8/29 at Cincinnati and 9/17 vs. Cincinnati) ... Had 5 hits on 3/31 at San Diego and a career-high 6 hits on 8/29 at Cincinnati (cycle).....his 6 hits tied a franchise record, now accomplished four times ... Had 5 RBI on 8/28 at Cincinnati and a career-high 6 RBI on 9/25 at St. Louis ... Recorded a 15-game hitting streak from 7/14-7/31, the longest streak by a Brewer in 2018, batting .492 (31-for-63) with 4 HR and 15 RBI ... Belted his second career leadoff homer on 8/22 vs. Cincinnati off Robert Stephenson ... Smacked his first career grand slam on 9/2 at Washington off Tim Collins ... Had a career-high 5 walks on 9/26 at St. Louis, tying a franchise record, now done four times ... Was on the 10-day disabled list from 4/8-4/16, retroactive to 4/5, with a right oblique strain ... Batted .194 (7-for-36, 2hr, 3rbi) in 10 games during the postseason. Batted .282 with 18 HR, 81 RBI and 16 stolen bases in a career-high 156 games with Miami... Made 155 starts, all in center field... Set career highs in runs (100) and walks (80)... Was among the National League leaders in runs (T7th, 100), at-bats (8th, 602), hits (9th, 170), doubles (9th, 36) and walks (10th, 80)...In his first season as a full-time center fielder led the Major Leagues from that position in fielding percentage (.997) while ranking second in starts (155) and fourth in total chances (372).....committed just 1 error all season (6/24 vs. Chicago-NL)... Tied his career high with 4 runs scored in a 22-10 win on 7/26 at Texas... Played for Team USA in the World Baseball Classic, batting .310 (9-for-29, 3rbi) in 8 games... Was traded to Milwaukee on 1/25/18 in exchange for four players. Became fourth outfielder (fifth time) in Franchise history to win National League Silver Slugger award after posting career highs in home runs (21), RBI (98) and slugging percentage (.483)...Also had career highs in on-base percentage (.376) and doubles (38)...Finished ninth in NL in RBI, 13th in on-base percentage, and 15th in average...Among NL outfielders, finished third in on-base percentage and doubles, fourth in RBI, 11th in slugging, and tied for 17th in home runs...Led team with 50 multi-hit games, tying career high (2014)...Led NL with 34 go-ahead RBI, which tied for second in MLB with Miguel Cabrera and Eric Hosmer, trailing Albert Pujols (35)...Ranked ninth in NL in batting average in seventh inning or later (.310)...Went 0x1 as pinch hitter on May 1 at Milwaukee, snapping streak of 23 games reaching base; was longest such streak of career to begin a season...Also was second-longest such streak to open 2016 in the Majors, behind Joe Mauer (28), and third-longest streak to start a players' season in Club history, behind Logan Morrison in 2011 (34) and Hanley Ramirez in 2008 (29)...Recorded 500th and 501st career hits on August 6 at Colorado...Had a 35-game on-base streak on the road snapped on Aug. 18 at Cincinnati; was longest streak of season in NL, third- longest of season in MLB, behind Jose Altuve (43) and Mookie Betts (38)...It was longest such streak in Club history, surpassing 33-game run by Luis Castillo from April 22-July 16, 2002...On September 1 at the Mets, became just second player in Club history with at least three hits, two runs scored, one home run, four RBI, and two steals in a game, joining Gary Sheffield on Sept. 18, 1995 at Philadelphia (3 h, 3 r, 2 hr, 7 rbi, 2 sb), and only seventh to do so in MLB since 2000...Hit 14 of his home runs in second half, and recorded 53 RBI, fourth-most in NL behind Nolan Arenado (63), Freddie Freeman (57), and Joey Votto (55). Limited to 126 games because of two stints on the disabled list...First DL stint was from April 24 to May 8 with a lower back strain; second was from August 10-25 with a right knee contusion...Batted .357 from June 27 to end of season (71 games); his average over that span led the Majors...Was batting .196 through May 25; raised average to .300 by end of season; Chone Figgins was the last qualifying player to be hitting below .200 as late as May 25 and finish hitting over .300...Hit .468 (29x62) over final 15 road games, the best road mark in MLB after Sept. 1...Set Club record with eight hits in a doubleheader on October 3 at Philadelphia; was one hit short of tying MLB record, shared by Bill Terry (June 18, 1929) & Lee Thomas (Sept. 5, 1961). - Stats LLC...Had a hit in eight consecutive plate appearances that day, tying Preston Wilson (May 12-15, 2001) for Club record. - Stats LLC...Set new single-game career high with five hits in Game 1 of the twin bill...Six of his seven home runs came on road; now 17 of 20 for his career...First home run at Marlins Park was on July 31, snapping span of 91 games without a homer in Miami...Had season-long stretch of 24 straight games reaching base safely snapped on July 26; longest such streak on Club in 2015...Recorded 300th career hit and career-high two OF assists on July 11 vs. Cincinnati...Recorded two hits in seventh inning on July 11, becoming second Marlins' player with two hits in one inning in 2015 (Derek Dietrich, June 16 vs. the Yankees, first inning). Earned ?rst career Rawlings ® Gold Glove award after leading Majors in ?elding percentage as left ?elder (.996), ahead of Alex Gordon (.994). Committed just one error in 262 total chances...Was ?rst out?elder in Club history to win a Gold Glove...Was also named Marlins' recipient of Heart & Hustle Award by MLB Players Alumni Association, awarded to active player who demonstrates passion for the game and embodies the values, spirit and traditions of the game...On September 23 vs. Philadelphia, recorded 71 st career multi-hit effort in 200th career game. Was third-most multi-hit games in ?rst 200 career games in Club history, behind Chris Coghlan and Hanley Ramirez (72 each). - Elias...His .365 OBP as leadoff hitter ranked second in National League and MLB, while 92 runs scored were third in NL (fourth in MLB)...Batted .317 vs. left-handed pitchers, which ranked third in NL (fourth in MLB) by a left-handed hitter...Was third-highest lefty vs. lefty season average in Club history, trailing only Cliff Floyd in 2000 (.333) and 1998 (.325)...Ranked ninth among NL out?elders with 21 steals...Ranked eighth in NL with .339 (37x109) average in August...His 37 hits in August were most in a calendar month in career, surpassing mark of 33 recorded one month earlier...Ranked second in NL (sixth in MLB) in pitches/PA (4.25), behind Matt Carpenter (4.37)...From August 11 to end of season, batted .319 (59x185), which ranked tied for eighth in NL. Also over that span, tied for most hits in NL, with Josh Harrison and Buster Posey, and tied for most runs, with Dee Gordon and Anthony Rendon...Starting on June 7, when he began day with season-low .240 average, hit .312 (109x349) for rest of season, raising average to ?nal mark of .284. Average ranked sixth in NL over that span, behind Buster Posey (.330), Andrew McCutchen (.322), Ben Revere (.317), Josh Harrison (.316) and Denard Span (.315)...On April 21 at Atlanta, set new Club record by stealing 14th consecutive base without a caught stealing to open career. Previous record was 13, by Edgar Renteria. Streak was snapped on May 2 vs. the Dodgers with CS in 1st inning...Had career-long hitting streak of 17 games from April 3-23, batting .366 (26x71) with 4 2b, 3b, 4 RBI...According to STATS LLC, was second out?elder (third time) age 22 or younger since 2009 to record streak of 17-plus games, joining Justin Upton (17 in 2010 at 22 years old and 18 in 2009 as 21-year-old). Prior to Upton, it had not happened in 31 years (Jack Clark & Terry Puhl in 1978)...Hit ?rst HR of season April 30 vs. Atlanta, marking 100th career hit...Had ?rst career leadoff home run on May 16 at San Francisco...According to STATS LLC, was second-youngest Marlin to hit a leadoff HR, at 22 years, 162 days, behind Hanley Ramirez (22-116 on April 18, 2006)...Had ?rst career walk-off hit on May 22 vs. Philadelphia (single)...Set new career highs with four hits and four RBI on June 10 at Texas. Was just second Marlin leadoff hitter to ever have four-plus hits and four-plus RBI in a game, joining Juan Pierre (4x6, 4 rbi on Sept. 16, 2003 at Philadelphia)...Was placed on 15-day disabled list with lower back strain on June 16. Among rookies with at least 240 ABs, his .288 average (69x240) ranked fifth, behind Yasiel Puig (.319), Jose Iglesias (.303), J.B. Shuck (.293) and Wil Myers (.293)... Also, his .370 on-base percentage was second only to Puig (.391)... Had contract selected on July 23 and made Major League debut that night at Colorado (2x4, rbi). Had hit in first two at-bats, off of Jhoulys Chacin... Was initially 3x4 with two RBI in debut, but third hit and second RBI were later taken away by scoring change to E-4 by MLB... Batted .303 (20x66) over first 16 games, through August 8. Average dipped to low of .252 on August 25, but from August 27 through end of season, batted .330 (36x109) in 30 games to bring average to .288... His .330 average over that final span ranked tied for ninth in NL (min. 95 PA) with Scooter Gennett, was tied for 16th in Majors, and tied with Gennett for first among all rookies... Was limited to 56 games with Double-A Jacksonville and Single-A Jupiter prior to call-up due to foot and abdominal injuries... Had season-long 15-game hitting streak for Suns from April 21-May 9, batting .358 (24x67) with seven doubles, four triples, three home runs and 15 RBI... Had a 5x6 game at Pensacola on May 7, with two triples, a home run and two RBI. In 2012, earned Marlins' Minor League Player of the Year award for second time, becoming first Miami Minor Leaguer to win award twice... Batted .500 (12x24) with two doubles, two triples, two home runs and five RBI in first seven games of season, earning Florida State League Player of the Week honors... Was on Minor League disabled list from May 31-June 19 due to a concussion... Longest hitting streak of season was 10 games, from July 18-28. Batted .452 (19x42) during streak, with five doubles, a home run and eight RBI... Led FSL in slugging, was second in batting and on-base percentage, third in runs, tied for fifth in doubles, and sixth in hits... Batted .285 (47x165) in 44 games in first half, with 29 runs scored, 12 doubles, three triples, seven home runs, 21 RBI, a .359 on-base percentage and a .521 slugging percentage. In 62 second-half games, batted .362 (84x232) with 47 runs scored, 17 doubles, two triples, five home runs, 27 RBI, a .435 on-base percentage and a .517 slugging percentage. Led Single-A Greensboro to South Atlantic League championship in 2011, earning SAL All-Star honors... Finished regular season on career-long 11-game hitting streak, batting .357 (15x42) with two doubles, three home runs and 12 RBI over that span (August 25-September 5)... Batted .272 (63x232) in 62 first-half games, with five home runs, 32 RBI, a .352 on-base percentage and a .401 slugging percentage. In 60 second-half games, batted .354 (81x229) with 10 home runs, 45 RBI, a .423 on-base percentage and a .568 slugging percentage... Finished third in SAL in batting, tied for sixth in steals, seventh in on-base percentage and tied for seventh in total bases (223). Made professional debut with Gulf Coast League Marlins on August 23, 2010. Went 3x3 with two runs scored, a triple and two RBI in first game. April 17, 2018 Milwaukee Brewers activated LF Christian Yelich from the 10-day injured list. April 8, 2018 Milwaukee Brewers placed CF Christian Yelich on the 10-day disabled list retroactive to April 5, 2018. Right oblique. January 25, 2018 Miami Marlins traded CF Christian Yelich to Milwaukee Brewers for CF Lewis Brinson, 2B Isan Diaz, CF Monte Harrison and RHP Jordan Yamamoto. August 25, 2015 Miami Marlins activated CF Christian Yelich from the 15-day disabled list. May 8, 2015 Miami Marlins activated LF Christian Yelich from the 15-day disabled list. May 3, 2015 Miami Marlins sent LF Christian Yelich on a rehab assignment to Jupiter Hammerheads. June 29, 2014 Miami Marlins activated LF Christian Yelich from the 15-day disabled list. June 26, 2014 Miami Marlins sent LF Christian Yelich on a rehab assignment to New Orleans Zephyrs. June 23, 2014 Miami Marlins sent OF Christian Yelich on a rehab assignment to Jupiter Hammerheads. July 23, 2013 Miami Marlins selected the contract of LF Christian Yelich from Jacksonville Suns. July 9, 2013 Christian Yelich assigned to Jacksonville Suns from Jupiter Hammerheads. July 3, 2013 Christian Yelich assigned to Jupiter Hammerheads from Jacksonville Suns. June 26, 2013 Jacksonville Suns sent LF Christian Yelich on a rehab assignment to GCL Marlins. 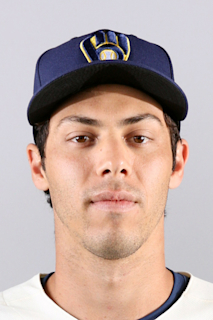 June 6, 2013 Christian Yelich roster status changed by Jacksonville Suns. April 20, 2013 OF Christian Yelich assigned to Jacksonville Suns from Jupiter Hammerheads. April 19, 2013 Christian Yelich roster status changed by Jupiter Hammerheads. April 3, 2013 OF Christian Yelich assigned to Jupiter Hammerheads. January 28, 2013 Miami Marlins invited non-roster CF Christian Yelich to spring training. June 19, 2012 Jupiter Hammerheads activated CF Christian Yelich from the 7-day disabled list. June 18, 2012 sent OF Christian Yelich on a rehab assignment to GCL Marlins. April 15, 2012 LF Christian Yelich assigned to Jupiter Hammerheads from Greensboro Grasshoppers. April 5, 2012 Christian Yelich assigned to Greensboro Grasshoppers from Jupiter Hammerheads. April 5, 2012 Christian Yelich assigned to Jupiter Hammerheads from Greensboro Grasshoppers. March 6, 2012 LF Christian Yelich assigned to Miami Marlins. August 31, 2010 Christian Yelich assigned to Greensboro Grasshoppers from GCL Marlins. August 17, 2010 Christian Yelich assigned to GCL Marlins from Florida Marlins. August 16, 2010 Florida Marlins signed 1B Christian Yelich.